Sorry about the delay in posts. A lot of things have been going on here. 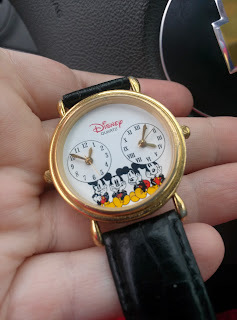 I have found a few Disney Items from the Good Will just in the past few weeks. Mostly watches. I also found a deck of cards with Stitch on it. Awesome. I found this Disney Time Watch this past week. It was $4.00 which was an okay price after finding the price of it on ebay I think it's a great deal. lol. 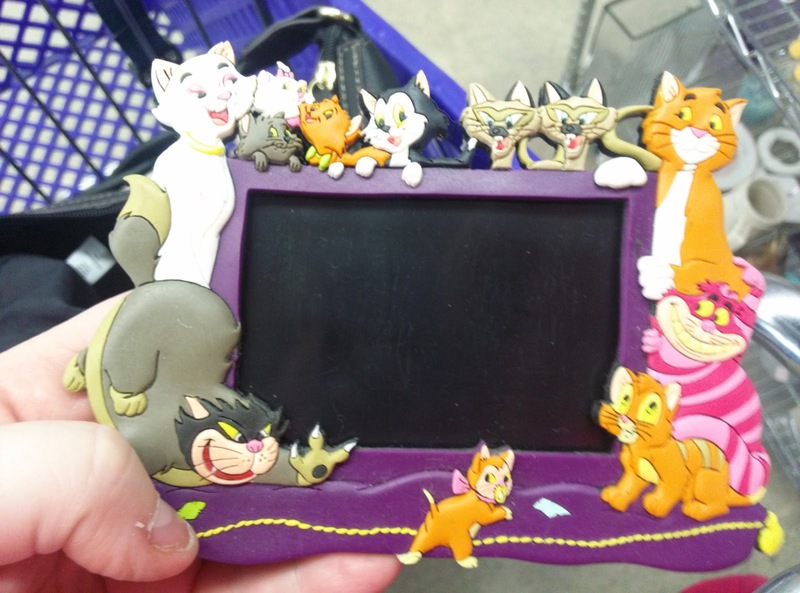 The second find the same day as the watch, I found this frame/magnet with Disney cat frame. I have found a lot of magnets and frames from the Good Will I have failed to share (i think). My best find this week was on the 3rd of July. I was looking through the toys and games when I just turned around and saw it. 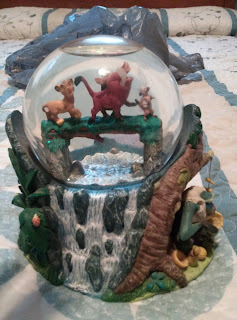 It plays Hakuna Matata. It's a weird version of it and plays only 2-3 lines of it before it repeats. lol.